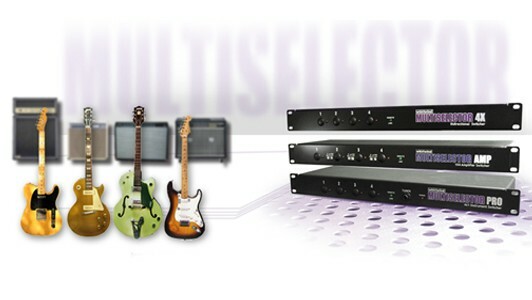 The MultiSelector 4X also features LED indicators and 1/4” unbalanced inputs and outputs. Power and control to the remote footswitch are connected via mic cable. 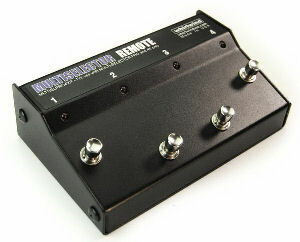 The optional MultiSelector Remote “stomp box” style footswitches contain four switches that remotely control the switching functions of the rack mount units using a regular 3-pin XLR microphone cable. A unique, proprietary communication protocol ensures reliable switching with mic cables up to 100 feet long. MLTSELPRO4XR remote works with the MultiSelector PRO and 4X only. 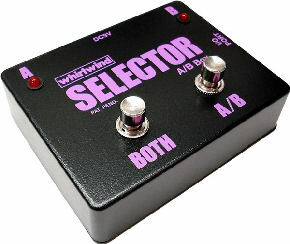 MLTSELAMPR remote works with the MultiSelector AMP only.